Different people have different goals when it comes to their vacations. Some want nothing more than to sit undisturbed on a beach, while others crave the adventure of seeing new sights. If there’s one universal truth about vacations, though, it’s that everyone wants to experience something memorable and special. These days, a vacation can be anything you make it. Rather than choosing a destination and following whatever traditional circuit of sights the travel guide suggests, many of us seek out travel experiences that reflect our own unique values, personality, or interests. Recently, my husband and I spent a weekend in a cozy cabin on a family farm. It may sound like a strange choice for a romantic getaway, but as two people interested in sustainability and local food, we couldn’t have loved it more. Chatting with the farm owners and drinking fresh goat milk with our morning cereal were just a couple of the delightful details that made our stay memorable. If you’re the type of person who likes to blaze your own trail, here are six unique travel ideas to consider! Plot a route with stops where you can pick up physical evidence of your visit: a napkin from a famous restaurant, perhaps, or a funky rock from a national park. (Or if there’s an actual destination you’re heading toward, a scavenger hunt can liven up a long drive getting there.) Bonus: You’ll end up with a killer ready-made scrapbook. Travel with a purpose by going on a service or mission trip. Choose a cause you’re passionate or knowledgeable about–teaching children English, installing a well for fresh water, or providing disaster relief, perhaps–and a destination where your gift of service will do good. If you plan it yourself (or with friends!) a service trip doesn’t have to be all work. Give your time to the less fortunate during the day and save evenings for seeing some sights and getting to know the community where you’re volunteering. For something more organized, check out Adventures in Missions, a Christian agency that offers dozens of pre-planned mission trips all over the world. Choose your own adventure—literally—with 3-20-day trips that feature a variety of service opportunities. Dreaming of simple pleasures, away from it all? Many family farms, ranches, and vineyards across the country have private space for guests. Unlike WWOOF (Worldwide Opportunities on Organic Farms), a farm stay almost never requires guests to pitch in with work. 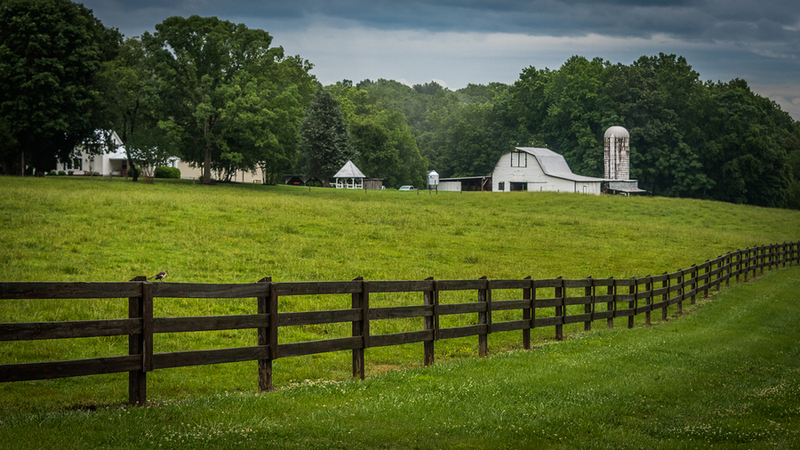 Of course, if you feel like lending a hand, most farm hosts welcome your involvement, but this type of vacation is more about soaking up the ambience and slower pace of country life. Farm Stay U.S. is a helpful resource for finding whatever combination of rustic and relaxing suits you best. Experience beautiful scenery right up close with a biking vacation. These trips take you from destination to destination (even city to city) on two wheels, seeing sights along the way. Find your vacation bliss zipping up and down the California coastline, for example, stopping at lighthouses and wineries, or cruising the green hills of Ireland’s County Cork. Beginner routes are available for even the biking newbie, as are a plethora of guided and self-guided options. Packages often include overnight lodging, transport of your luggage, and roadside support. Visit Bicycle Adventures or Bike Tours for inspiration. Everyone knows vacations are all about the food, so why not create a whole vacation around it—or at least a day or two? Tours themed around different cuisines have cropped up in most major cities: coffee tours in Seattle, Chinese restaurant-hopping in San Francisco, pizza tours in Chicago, etc. Alternatively, you can strike out on your own with a DIY version. If it’s your dream to dine at every Tex Mex restaurant in San Antonio or try every cheesecake in New York, more power to you! You don’t have to go to Rome or the Holy Land to make a spiritual pilgrimage. The U.S. has numerous holy sites that would make for a special visit. The West Coast is dotted with missions dating back to the 1600s, and monasteries, shrines, and cathedrals grace every state. You might be amazed at what you find close by. In anticipation of World Youth Day 2016, the U.S. Conference of Catholic Bishops put together a list of pilgrimage sites by state. You only get so much time off each year. In 2018, make it count by choosing a vacation that will inspire your creativity, uplift your spirit, and reflect the unique person you are. 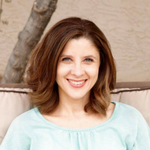 Sarah Garone is a nutritionist, food blogger, and freelance writer in Mesa, AZ. When she's not cooking up something healthy and delicious in the kitchen (or cooking up ideas for writing), you can find her sharing recipes and reflections at A Love Letter to Food.